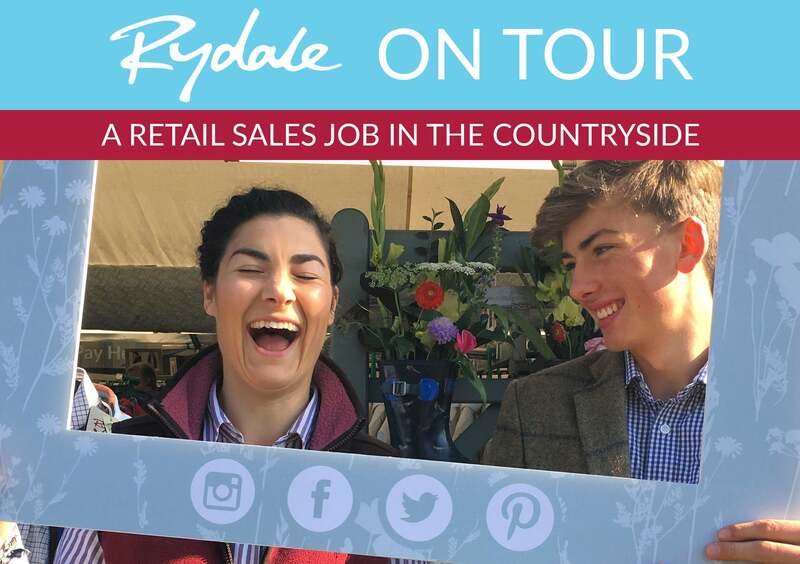 Throughout the summer months Team Rydale attend over 100 county shows, horse trials and game fairs. During set up days we erect a large marquee, build display stands, merchandise clothing and dress the stand for trading. During packdown we apply a high energy approach to packing the lorry and dismantling the display stands and marquee. These are very busy days with early starts. Our goal is to maximise sales, essentially by selling products to the customer and helping them with their purchases. Also keeping the stand tidy so customers can make their own purchases. Team Rydale show units have specially adapted living quarters, including bunks, showers and kitchenette living areas. If you've ever been in a horse lorry you'll know what we're talking about! Between shows there is a necessity to help prepare the show units ready for the next tour. This involves picking stock and loading the lorry. Therefore, you will need transport, to our head office in Driffield. We pay a weekly salary with the chance of a bonus for seasonaires. All food is included so there are no living expenses. This job is ideal if you want to save some money throughout the summer months! If you are hardworking and a good team player, motivated, with exceptional stamina and don't mind the Great British weather you’ll be perfect! A tour can last from a weekend to 3 weeks so make sure you haven't got any big commitments before you apply. Successful show people will finish the season having enjoyed a busy summer, with a broader outlook on life, meeting new friends and ready for another challenge.